When these arrived at 4 Cheeky Monkeys we were really impressed by the size and quality of the frames. 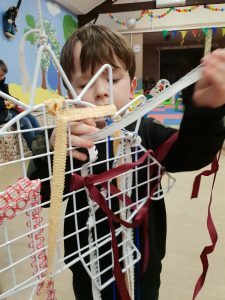 We had a few ribbons tied onto the top of the frame so that children could weave these as and when they wished, and then lots of loose ribbon for them to choose from. 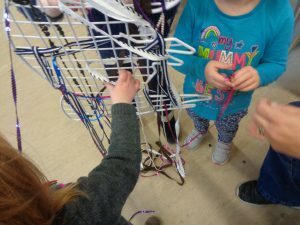 The activity was an immediate success used both by individual children and small groups (we even caught a few adults weaving when their children had gone to play elsewhere). 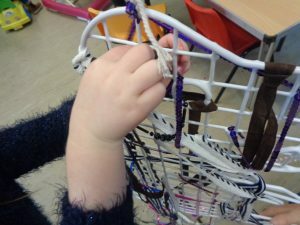 Weaving is all about the process and not the end product, children needed very little support once shown what to do. 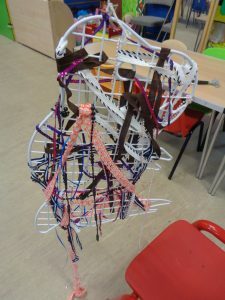 The children’s efforts are clearly displayed, what a colourful result. 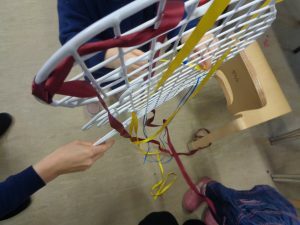 It was lovely to hear from a grandmother that attended a morning session and later told us… while waiting to go into nursery school her granddaughter had said the willow structure in the nursery school garden looked like the weaving she had done that morning because the branches went in and out of each other. 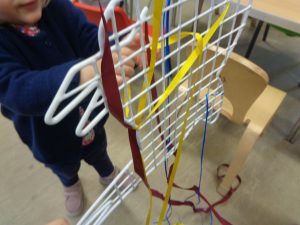 Weaving proved rich in extending language and communication, especially when adults were present to facilitate it, using words such as in, out, forward, backwards, through, front, back, over, short, long. You could use words such as horizontal and vertical with slightly older children. 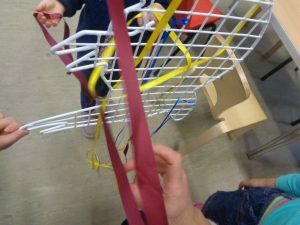 When group weaving older children (aged 4) worked together pushing the ribbons back and forth through the holes to each other problem solving and communicating together. 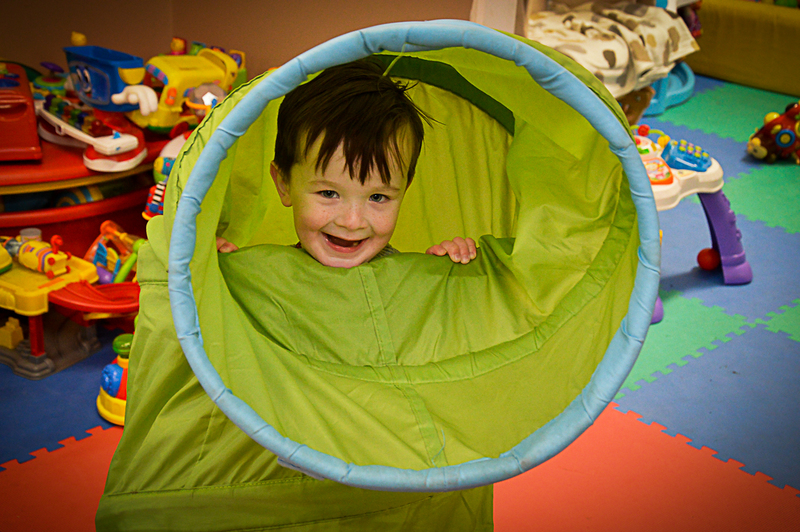 As you all know, at 4 Cheeky Monkeys parents/carers are responsible for the children in their care. However what do you do if you feel a child isn’t safe or cared for correctly or you have any other concerns? I have copied below our Safeguarding Children Policy, this was written for 4 Cheeky Monkeys preschool so some of it refers to Ofsted (we aren’t Ofsted registered now however I do try to run it to the specification Ofsted would require). 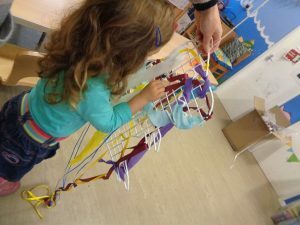 I am retraining as a childminder at the end of this year so will refresh this policy after that training (if anyone has a better policy please do share it with me)…. 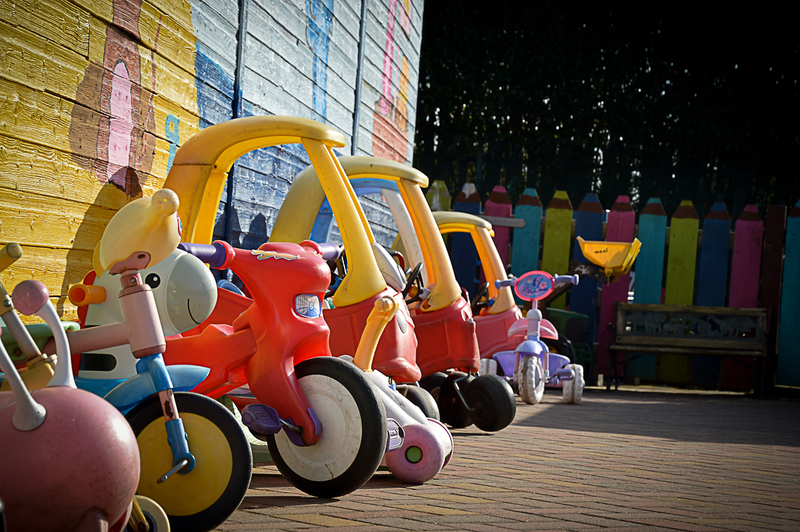 The Children Act 1989 is based on the principle that the “welfare of the child is paramount”. This policy is underpinned by this and in practice this means that the safety and welfare of children will be the first priority in any decision making. 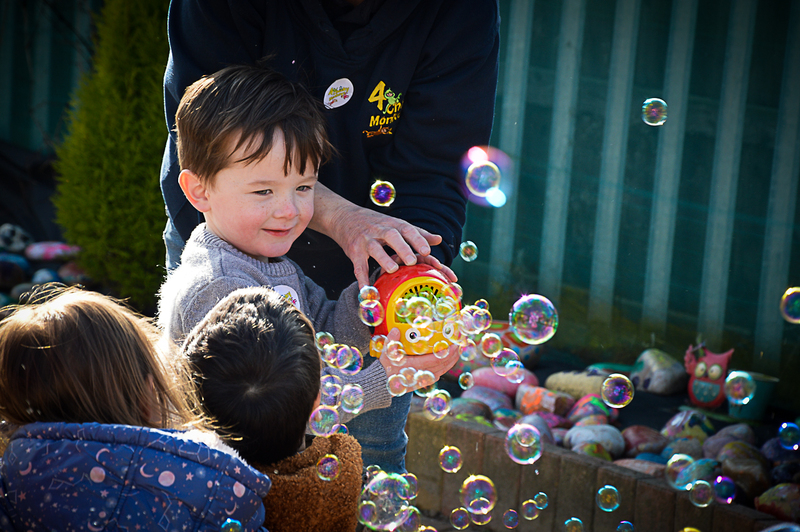 4 Cheeky Monkeys are committed to creating and maintaining the safest possible environment for children and young people to be cared for and educated in. 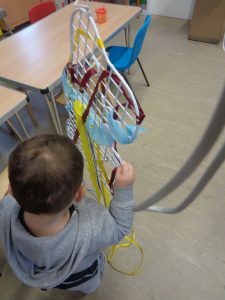 We believe that it is always unacceptable for a child or young person to experience abuse of any kind and recognize our responsibility to safeguard the welfare of all children and young people by ensuring that they are “growing up in circumstances consistent with the provision of safe and effective care”. This policy is written in line with the statutory guidance issued in “What to do if you are worried a child is being abused” (2006) and is also in line with the procedures outlined in Trafford Safeguarding Children Procedures. Valuing them as individual, listening to and respecting them. Responding quickly and appropriately to all suspicions or allegations of abuse or causes for concern relating to child welfare. 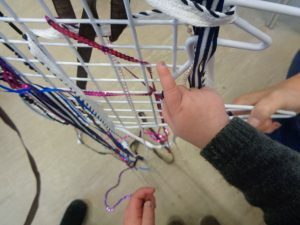 Working in partnership and communicating effectively with parents/career’s and children to ensure they are provided with the opportunities to voice any concerns they may have. Ensuring that access to confidential information is stored and managed in accordance with National Guidance. Sharing information about concerns with agencies on a “need to know basis” in line with the Guide to Information Sharing as summarized in “What to do if you are worried a child is being abused” (2006) and involving children and parents/career’s appropriately. Ensuring all adults working within the setting have been cleared by the Disclosure and Barring Service (DBS) and have Enhanced Disclosures. Attending up to date training regularly. If there is a cause for concern regarding an aspect of a child’s care 4 Cheeky Monkeys would consider our local threshold of need guidance and see if the child was showing any indicators in any of the levels. These would then be discussed with a parent/carer. 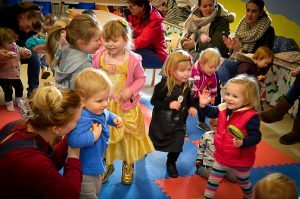 4 Cheeky Monkeys would seek to provide advice and guidance and promote effective care for the child by working with and in partnership with a parent to support them in their parenting. 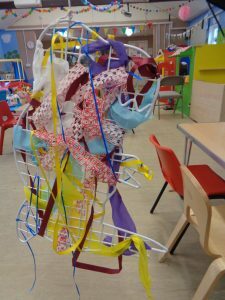 A record of our discussions with the parents/carer’s would be made and we would continue to monitor the child within our setting, regularly reviewing the situation. 4 Cheeky Monkeys may ring The Multi Agency Referral and Assessment Team (MARAT) for advice at any stage. If a child and/or family had indicators of need at a level 3 or above we would contact MARAT for advice and/or possible referral. If concerns were of a child protection nature – if we became concerned that a child may be at risk of experiencing OR experiencing significant harm – this could be Physical, Sexual, Emotional abuse and/or Neglect – I would follow the child protection guidance as outlined in “What to do if you are worried a child is being abused (2006)” and Trafford Safeguarding Children Procedures. We would record concerns accurately and factually. 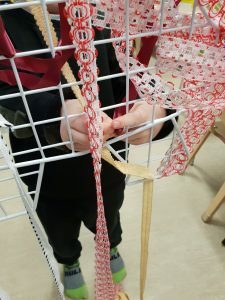 We would discuss our concerns with a parent/carer and seek an explanation (unless we believed that by doing so it may place the child at a greater risk). If we were still concerned or if there was evidence of a non-accidental injury e.g. linear bruising in the pattern of a hand slap then we would contact MARAT to report the concerns and to make a referral and seek advice. A referral would be backed up in writing within 48 hours. We would also inform Ofsted without delay. We would discuss my concerns with a parent/carer. If we were still concerned we would ring MARAT to report the concerns and to make a referral and seek advice. A referral would be backed up in writing within 48 hours. We would ring MARAT to report the concerns and to make a referral and seek advice. A referral would be backed up in writing within 48 hours. MARAT should acknowledge the referral within one working day. If we had not heard anything after 3 working days we would contact them again to chase it up. If you think that your child or any other child in our care may be at risk of harm from a 4 Cheeky Monkeys employee you should contact MARAT immediately then notify Ofsted on the above numbers. What to expect at our sessions. 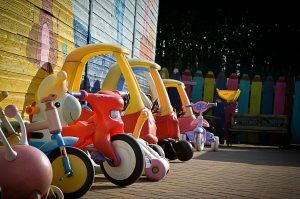 I attended so many toddler groups while childminding and with my own boys. My eldest was born when I was 21 and although I wasn’t a teenage mum I did feel very young, none of my close circle of friends had children. I stood in the door way clutching tight to my 6 month old as if we were facing a hurricane, I was mentally running through the conversation I was going to have with my mum the next time I saw her for forcing me to attend this awful place. I think we stayed for about 20 minutes then both left for a nap to recover. Now I expect you’re waiting for me to say but I persevered and found they were an absolute life line aren’t you??? Well sorry to disappoint – they weren’t!!! 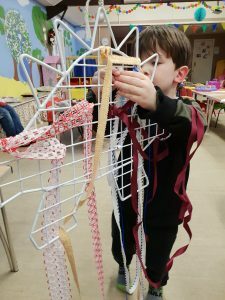 However the experience did get slightly better and both the children in my care when I was minding, my boys and I definitely took positive experiences away from these sessions. While setting up 4 Cheeky Monkeys I made sure it had everything I felt other groups lacked, my top priority was outdoor play. 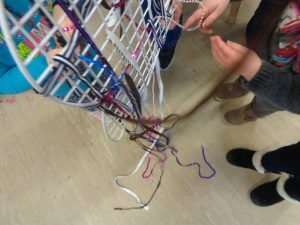 I wanted safe enclosed spaces, lots of variety in resources, toys that had working batteries in, toys that were clean and in good condition… I also wanted to break up the adults sat at the edges children running riot theme a lot of them seemed to favour. I really didn’t want to ‘cliquey’ unapproachable feel to the group which is something you can’t really stop happening however we planned and arranged the room in a way we hoped would stop this. Do you know, I think we’ve come as close as possible and to the degree I’d hoped. Yes there are friends that meet up and have a catch up, but they keep a close eye on their children. The majority of adults move round with their children and engage in play with them. 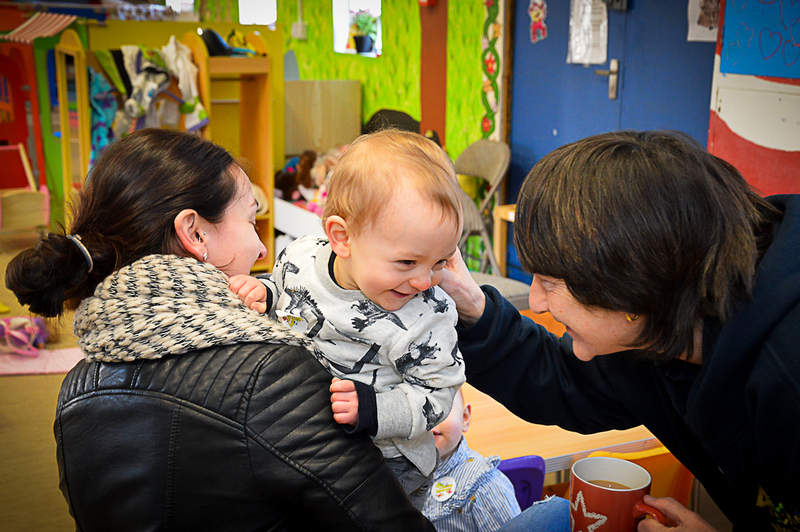 It’s a place you can go and have one to one time with your child however if you speak to any of our regulars they will all happily chat to you. I am confident in saying everyone that attends is lovely, our regulars are as friendly as our staff and will go out of their way to make you feel welcome. It’s been lovely to witness so many friendships evolve both with children but also with lots of adults. As you enter 4 Cheeky Monkeys you’ll be at the back of the building, Lesley our centre manager is ‘usually’(unless she’s run off to put full signs up or deal with an emergency) stood opposite you at the other end of the room. If you sign in with her she’ll show you where the toilets are. Its then free play until 10am/10.15am when teas and coffees are available for adults to buy we provide free juice and biscuits for the children. I just want to address here why we choose biscuits as it has been asked before and I know everyone is trying to promote healthy eating. To provide toast would be time consuming (Lesley is on her own during sessions) and we’d also have to change our food safety registration to be able to provide hot food – which we don’t really want to go through. We tried fruit in the past this worked out very expensive with a lot of waste and people still asking for biscuits. After snack there is usually a craft activity set up and outdoor play available. Please always supervise your children outside. 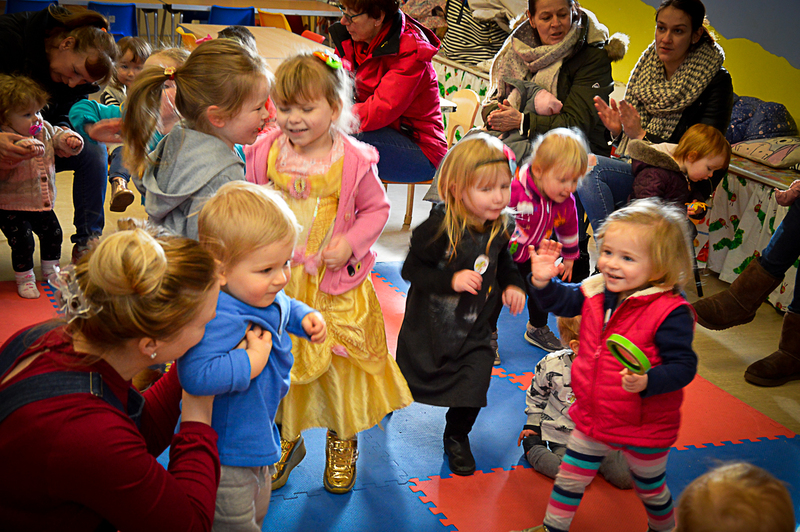 At 11.10am it’s tidy up time followed by singing and dancing.